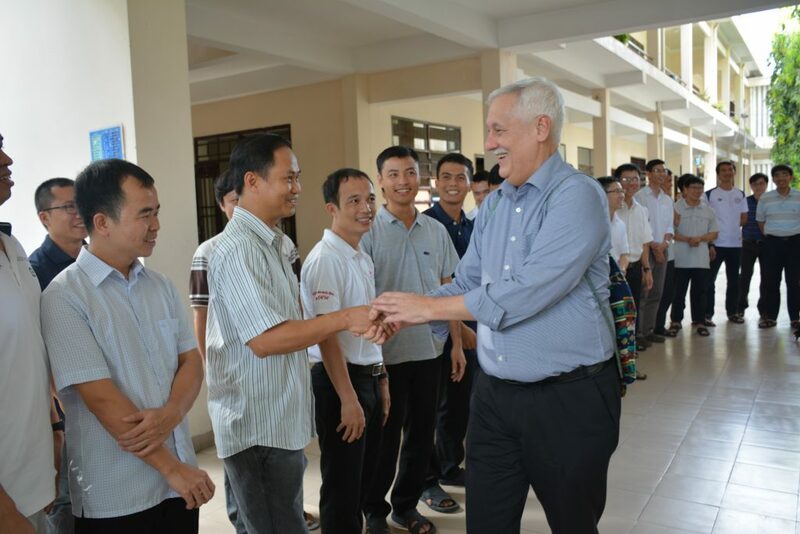 Fr Arturo Sosa, SJ, Superior General of the Society of Jesus, arrived in Vietnam on Sunday, December 2, for his first official visit to the Vietnamese Jesuit Province and his second official trip to the Jesuit Conference of Asia Pacific. 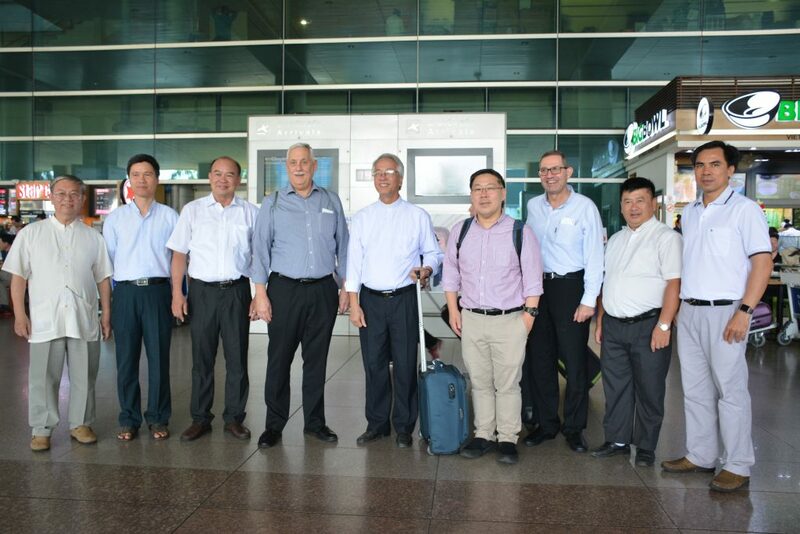 Fr General and his Regional assistants: Fr Victor Assouad, S.J., (Western Europe) Fr Daniel Huang, S.J (Asia Pacific) were welcomed by Fr Provincial Vincent Pham Van Mam and the Vietnamese Jesuits at Tan Son Nhat Airport, Saigon and at the Provincial Curia. Then, Fr. General met with the aged and infirm Jesuits at the nearby infirmary house. He received a blessing from Fr. Pham Huu Lai from his sickbed. Fr Lai was superior of the Jesuits in Vietnam when they were still underground, having been ordained secretly and later imprisoned for 10 years. 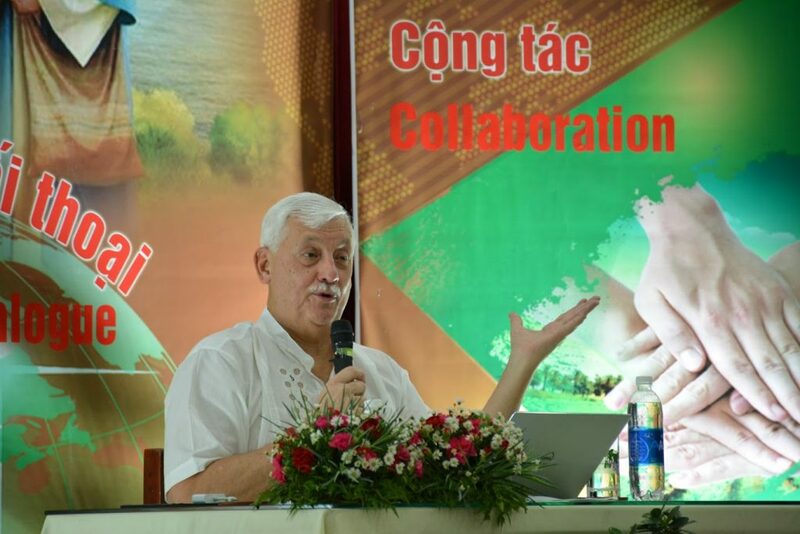 After prison, he worked as a goat farmer while secretly training people to be catechists and forming them in their faith. On the Feast of St. Francis Xavier, Patron Saint of the Society of Jesus in Vietnam, Fr. 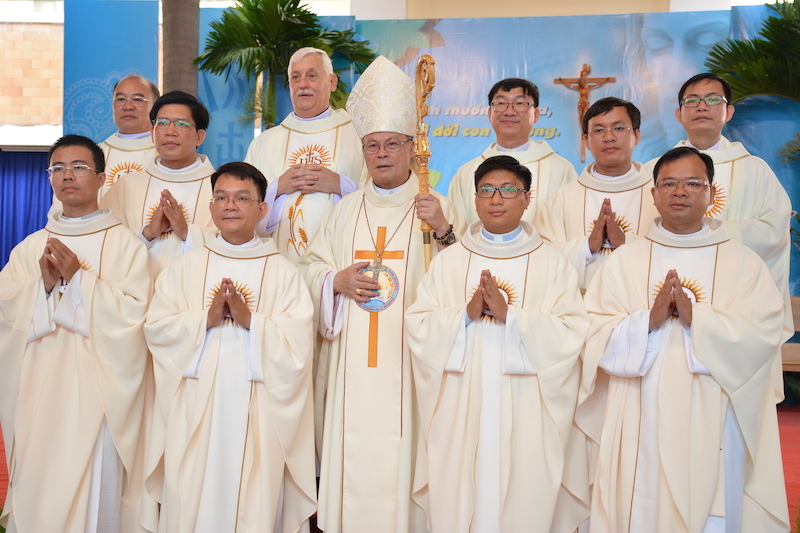 General concelebrated the ordination to the priesthood of 6 Vietnamese Jesuits. 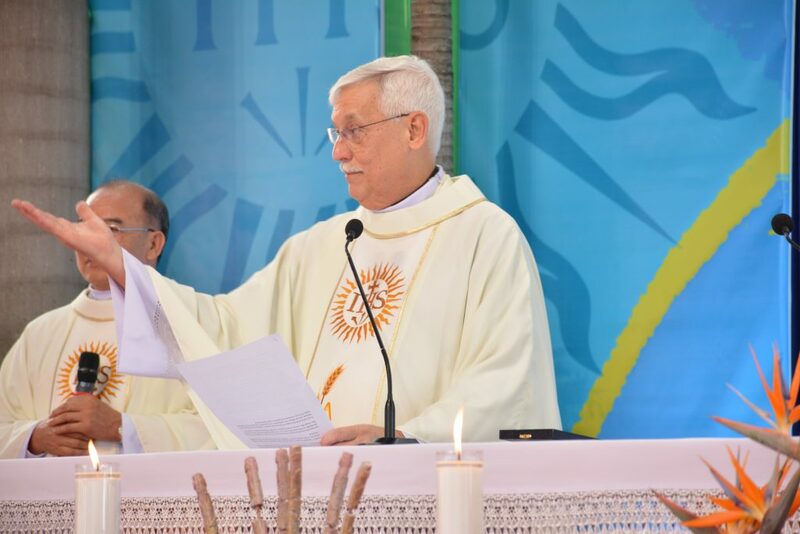 More than 1,500 people and 110 priests joined the Mass presided by the Most Rev. Joseph Nguyen Chi Linh, Archbishop of Hue and President of the Catholic Bishops’ Conference of Vietnam. In the afternoon, he had a meeting with the Jesuits in the Province to share about the apostolic priorities of the Society, dealing with the sexual abuse and the 2018 synod on young people. On the morning of December 4, after taking a group photo with the whole Province, Fr. General, his assistants and Fr. 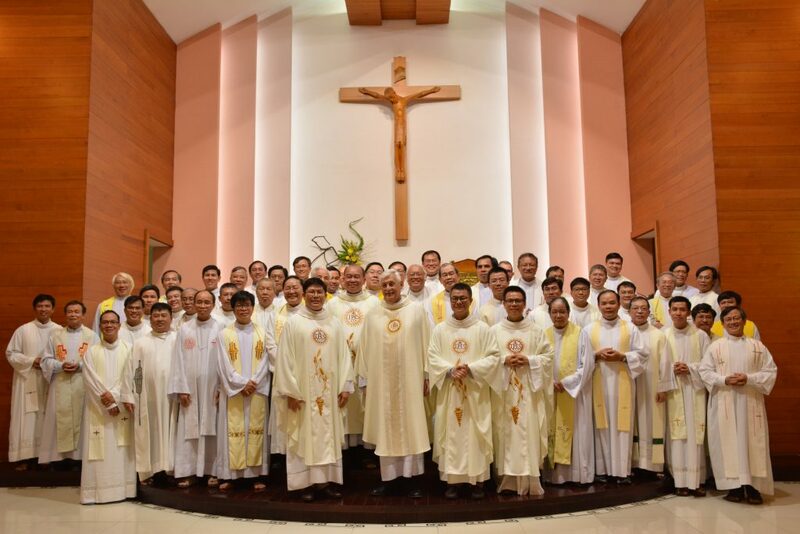 Provincial of the Vietnam Province, visited the Sacred Heart Novitiate and were welcome by the novice master, his assistants and 34 novices. Then, the delegation visited the Candidacy House and blessed the new building of the Candidates. The candidacy house is located in the compound of St. Michael Church which is run by Jesuits. 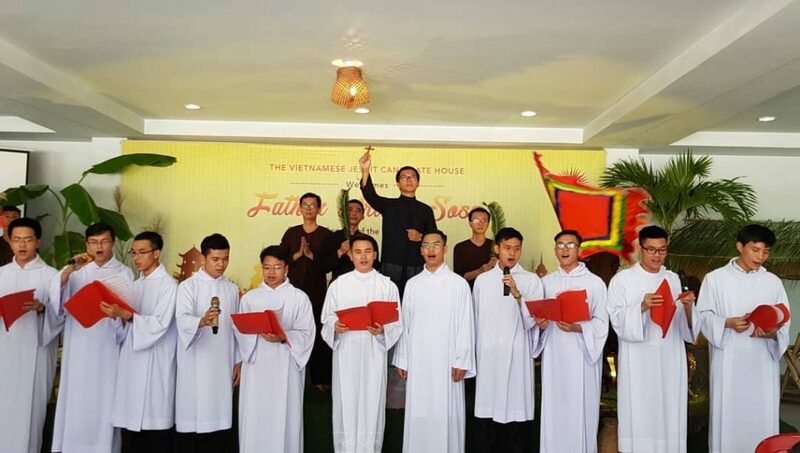 Fr Dominic Nguyen Quoc Kinh, SJ, the representarives of the St. Michael parish and around 90 candidates warmly welcomed Fr General and his delegation with a lion dance, songs and a short dramatization of the protomartyr of Vietnam, Blessed Andrew Phu Yen, companion of Fr Alexandre de Rhodes, SJ. The pre-novices present a brief dramatization of the life and martyrdom of Andre Phuyen. In the evening, Fr. 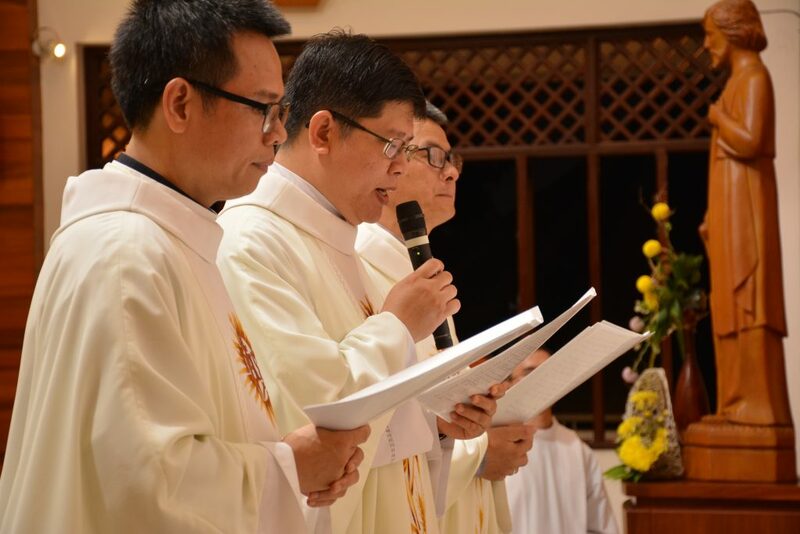 Sosa presided at the Final Vows of Fr Anthony Nguyen Cao Thang, Fr Paul Nguyen Thai Son and Fr Andrew Pham Hoa Lac. Frs. Thang and Lac did their tertianship in Australia while Fr. Son joined his tertianship in Sri Lanka.